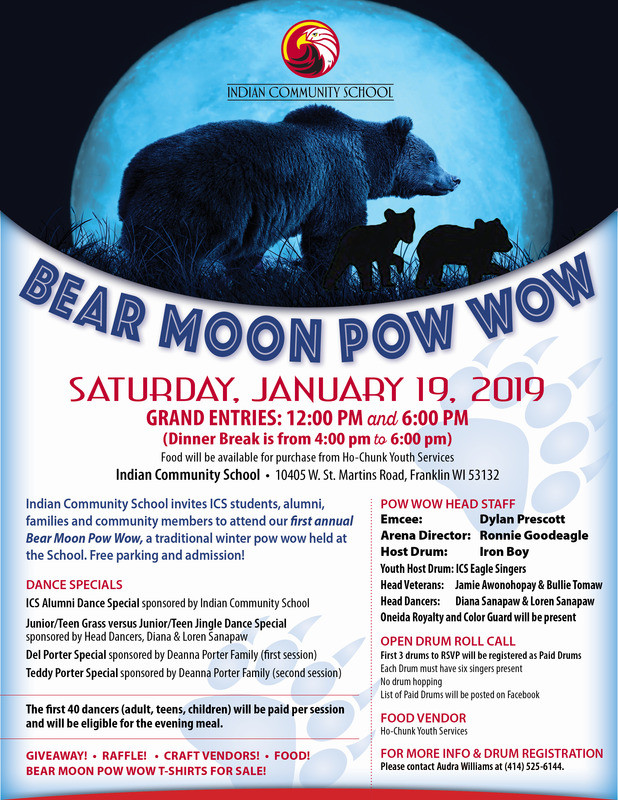 Indian Community School invites ICS students, alumni, families and community members to attend our first annual Bear Moon Pow Wow, a traditional winter pow wow held at the School. 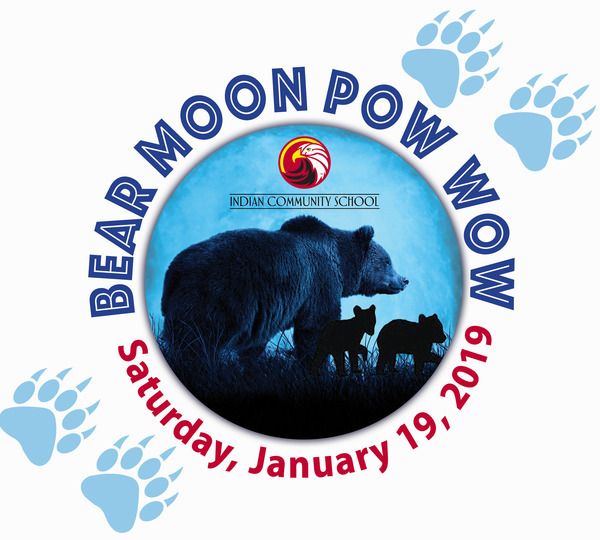 Free parking and admission! First 3 drums to RSVP will be registered as Paid Drums. Each Drum must have six singers present. No drum hopping. 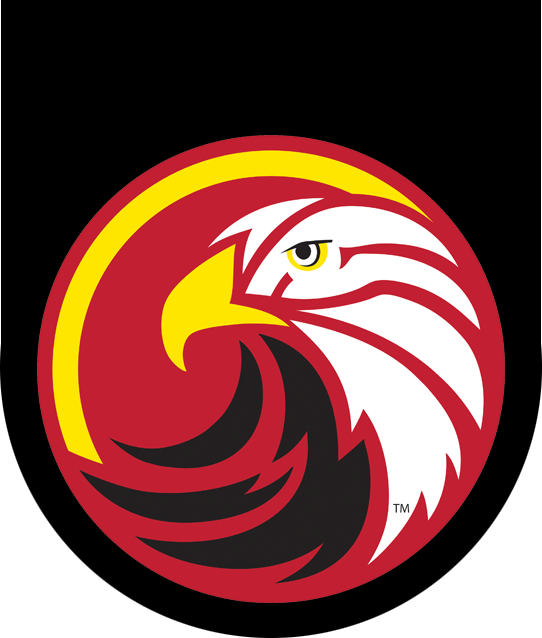 List of Paid Drums will be posted on Facebook. Please contact Audra Williams at (414) 525-6144.